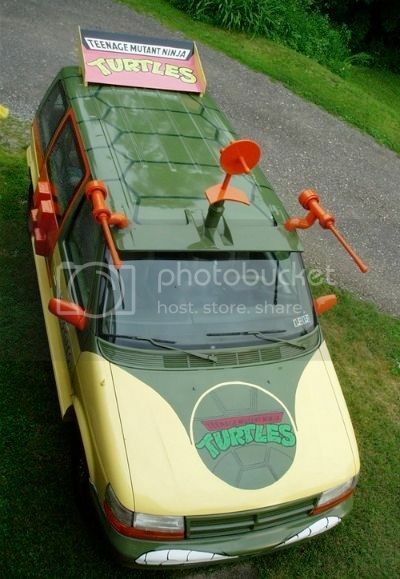 So, 23-year-old college student Brittney Schneck funneled her pennies earned working as a part-time cashier and car-detailer into converting a ’94 Dodge Caravan into a straight-up Teenage Mutant Ninja Turtles van. I see a bright future for Brittney as the world’s favorite pizza delivery girl. Too bad about those two extra years of college education, though. Turns out she didn’t need them. Via Jalopnik by way of DVICE, who thinks that college edukashuns are highley overrated.